For sunny situations, select flowering trees, shrubs, herbaceous border perennials, bulbs and short-stay bedding plants. Grey-leaved plants, those with small or needle-like leathery thick or succulent leaves, and those with blue, gold, silver and red self or variegated foliage, as a rule also prefer to be in sun. Most aquatic plants need sun; as do the majority of herbs, vegetables and fruits. Shade-loving plants, and those able to adapt to shade, are mainly foliage plants with green or dark green, often large, thin leaves. Many evergreens come into this category. Shade-tolerant plants also benefit more from shelter than many of the sun lovers. In cold exposed or windswept sites, deciduous trees and shrubs, along with evergreen conifers with leathery, needle-like leaves, are better able to flourish than broad-leaved evergreens. Until shelter is provided, stick to low growing, ground hugging plants. In town gardens, especially where there is soot and grime to contend with, it is advisable to opt for shiny-leaved evergreens which can be hosed down from time to time. Avoid hairy-leaved evergreens, and conifers such as pine, spruce and fir; they all collect grime and tend to suffer from ill health when subjected to these adverse conditions. Most deciduous trees and shrubs are useful in towns, as they drop their leaves along with grime each autumn, and than start afresh again each spring. Similarly, herbaceous perennials which die down in autumn are a sound choice. And short-stay bedding plants which are cleared at the end of the season are also well suited to most town gardens. Adopt the well tried rule of planting two evergreen plants to one deciduous. This avoids winter bareness in the garden. To maximize on ‘effects’ in limited space, plant trees and shrubs which have more than one season of interest. Many have attractive fruits and foliage as well as flowers. To reduce work, keep hedge heights to the minimum necessary. This avoids unnecessary ladder work and clipping at height. 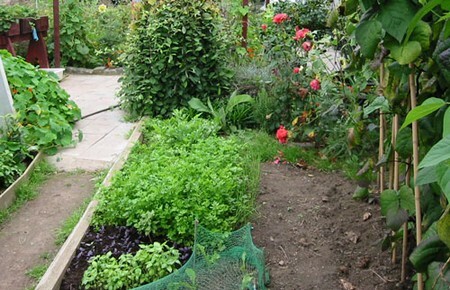 To reduce work, keep down to acceptable levels the areas used for short-stay bedding plants and vegetables. These are amongst the most labour intensive of garden plants. Plant labour-saving conifers and shrubs like aucuba, cotoneaster, euonymus and potentilla if time is limited. These require minimum attention. 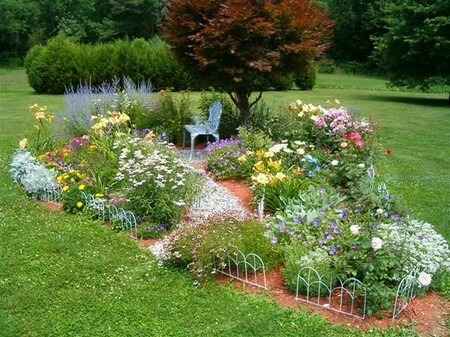 Grassing over flower beds helps to cut down work for those who do not have the time, energy, or inclination to cope. The newcomer to gardening would do well to study in some depth what is involved in rock, alpine and water gardening, before embarking on these projects. These are fascinating pursuits but there are pitfalls for the unwary. About the Author: Greenery always attracts Arthur Kunkle. He has a big garden where he plants many fruits and vegetables. His passion for gardening motivates him to write and share different tips on gardening.